This was my 4th Connection I've attended now and let me say the best to date. First of all the location and venue could not have been better. 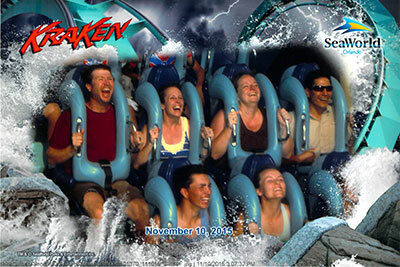 It was in Orlando at Sea World this year. It allowed me to take extend the trip and make a family vacation out of it. The event started Sunday with Golf. This was a great social event followed by a nice dinner with all the attendees. It was a nice way to get to meet new people and catch up with old friends. This tool is bascailly Redgates Sql Compare for Kentico. A very powerful tool to put your mind at ease during deployments. Sign up for your the beta version at http://www.bizstreamtoolkit.com/compare. This tool is for content editors to start creating content before the site is completed or even started in Kentico. A DAM (digial asset management) connector that synchs to your Kentico Media Libraries. Very powerful for image & video editing. It seems they have added a lot of new features and most of all a big performance boost. MVC - Kentico has had some form of MVC support since v7, but they've take it a leap further in v9. It will be very interesting to see how many partners move to this approach. It really does change the development and how sites are managed by content editors. Continous Integration (CI) - V9 has CI! I am very excited to test this out. This coupled with Kentico Compare is definitely going to help me sleep better at night. Module Enhancements - they are making it as easy as a click to export a module now and move it to another instance. Web Farm Support Enhancements - this is putting the developer hands-off, Kentico is going to manage it all for you. There is a series of webinars coming up to go over some of these, http://devnet.kentico.com/articles/kentico-9-webinar-series-bringing-you-closer-to-your-customers also to be sure to follow DevNet articles for more info, http://devnet.kentico.com/articles. V9 comes out Nov 24th. 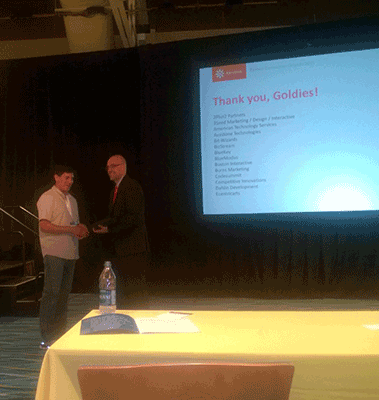 Kentico Golide - We received a Kentico Goldie award presented by Petr Palas himself. 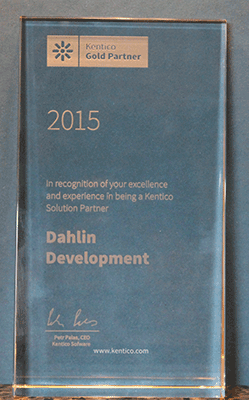 Another great year of Kentico Connection with the Kentico community. On top of learning it really is about connecting and meeting other Kentico users in the Community. I did sneak away from the conference for a few hours to meet up with my family and take in some of the Sea World attactions.